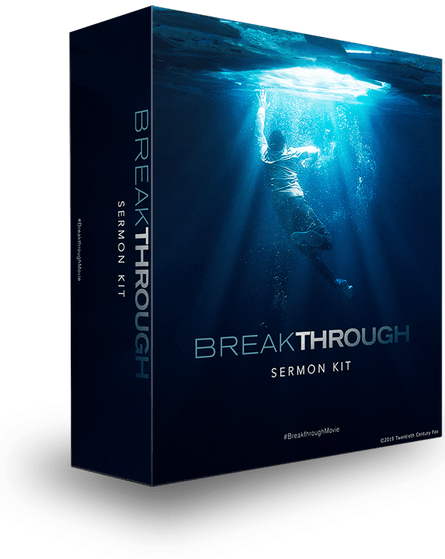 GET MY FREE SERMON KIT! Through this powerful 5-week series, your community will learn how to look past the worldly trials and tribulations, breaking through to a God who works miracles and achieves the impossible in their lives. GET THE POWERFUL SERMON KIT BASED ON THE MOVIE! By submitting, you're opting into receiving messages from Catalyst Resource Group and Breakthrough the Movie. Each mini-movie is specifically created to engage your audience with powerful perspectives to help drive home the main points of your messages and enhance your sermon’s delivery. Help your congregation visualize your message’s main points with this premium PowerPoint template. Feature your sermon series on Facebook, Pinterest, Instagram, Twitter, and more with graphics designed to generate attention through high-impact social media outreach. Inspire excitement about the upcoming series and get your congregation talking with a custom Facebook promo video. What's Included in Your Sermon Kit? *The BREAKTHROUGH movie scenes included in this kit may only be used during your on-location services and cannot be shared online. This would include, but not be limited to: social-media posts, website posts, online sermon video casts, etc. Get your Sermon Kit and make an impact in your church with this movie sermon series based on the impossible true story!